NYCC: Brian Michael Bendis’ Powers Comes to Life with a First Trailer! 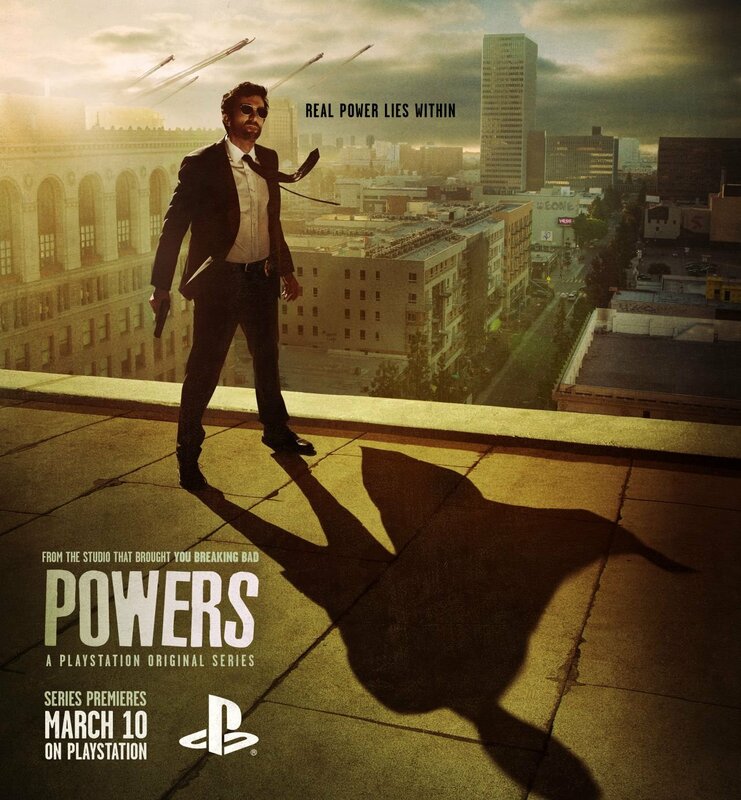 The first trailer for the upcoming “Powers” TV series has hit and you can check it out in the player below! Based on the comic book series by Brian Michael Bendis and Michael Avon Oeming, “Powers” follows two detectives as they investigate superhero-related homicides. The series launched in 2004 through Image Comics and is now published by Marvel’s Icon imprint. The series stars Sharlto Copley and Susan Heyward as Detectives Christian Walker and Deena Pilgrim. They’re joined by Michelle Forbes, Max Fowler, Adam Godley, Noah Taylor, Olesya Rulin and Eddie Izzard. Charlie Huston wrote the first episode and serves as showrunner with Remi Aubuchon. 30 Days of Night and “Hannibal” director David Slade will helm the first two episodes of the series, which will launch on the PlayStation Network this December.